If this world that we live in can have strange secrets then why not us, the humans, that inhabit it? The obsessive desire to know the incomprehensible has got a physician like me entangled in the quagmire of Physics, Philosophy, and God! Modern science is obsessed with the question of creation. How did it all begin? Why do we exist? Where do we fit in the entire plan of things? Especially with the future: is all this occurring by chance, or is it predetermined? Do we have an active role in this entire creation? Can we decide where we go from here? Einstein had said, "God does not play dice". Thus, nothing happened by chance! It was predetermined. So are we just mute players in this divine game? While the creator's propensity towards gambling is yet to be determined, we certainly are far from knowing anything substantial about this infinite universe. Moreover, Einstein was not always right. Albert Einstein thought that a black hole, which is a collapsed star so dense and so powerful is its gravitational pull that even light cannot escape its gravity, was too outrageous a notion to be real. Imagine a star with a mass a hundred thousand times that of the sun. When these massive gigantic object collapse to say the size of a football field, we have a black hole. The gravity of such an object is so great that even light is trapped inside and is not allowed to escape. Black holes are supermassive stars that have collapsed on themselves. 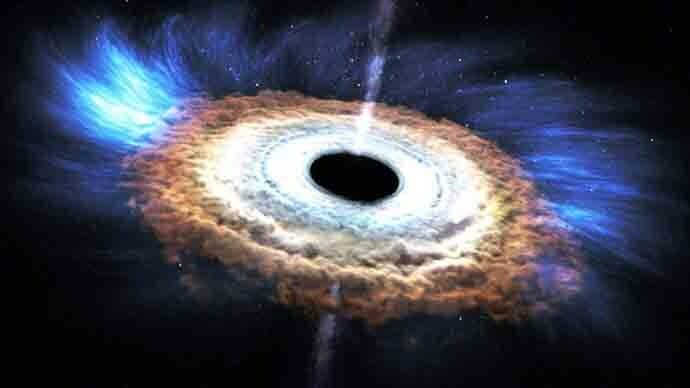 Sagittarius A - a black hole in the center of our galaxy - is an unquenchable star-eating monster. Anything that comes within 8 million miles of this Godzilla vanishes into eternity. This boundary is called the event horizon of a black hole. Anything treading near this limit whether a star or a planet or a person and even light is lost forever. Strange things do not happen only far away. Mysterious and scientifically unexplained things also occur in our mundane daily existence. Parthenogenesis is the way by which plants and small animals reproduce. No large vertebrate animal has ever been known to reproduce by this method where a mother herself is capable of producing babies with no male contribution. A concept very well highlighted with poignant horror in Michael Crichton's Jurrasic Park. The birth of five Komodo dragons in a London zoo to a female giant lizard, the Komodo dragon Flora, with no male contribution, had taken the scientific world by surprise. This incident is one of the earliest natural evidence as how a large vertebrate animal species could exist, survive and proliferate without sexual reproduction. 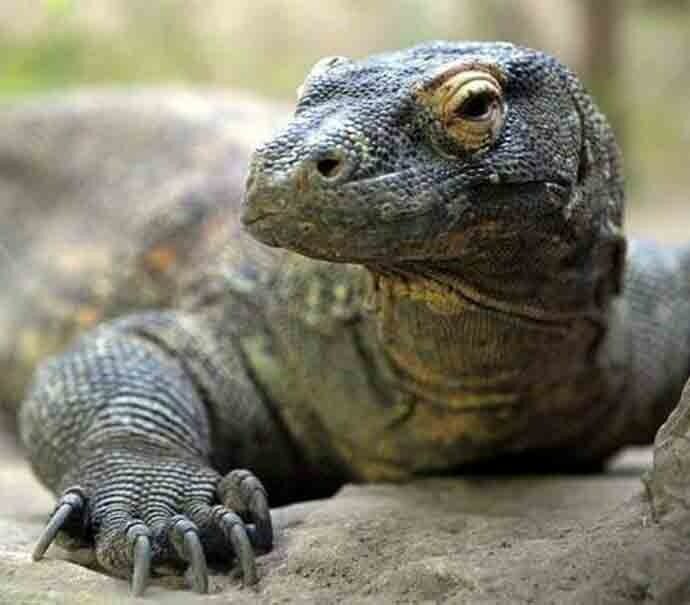 Komodo dragons are gigantic monster lizards that can grow to as much as 2-3 metres long. These are natives of a few islands in Indonesia. They are carnivores that feed on smaller animals including goat and deer but have been known to attack and even kill humans. Scientists have used genetic fingerprinting to confirm that Flora the Komodo in Chester Zoo as reported in Nature has produced parthenogenetic offspring. Thus, T-Rex producing more of its own may not only a fantasy brought alive by Steven Speilberg, the creator of Jurrasic Park, but an actual nature's tool that might manifest some day or even manifesting now amongst Komodo dragons or other species like in boa constrictor. Flora, the Komodo dragon in Chester Zoo that gave virgin birth. Just as what has been stated seems strange, individual deductions of quantum theory on the behaviour of particles that make up the matter of which the universe is made up of are even weirder. One of the deductions is that many worlds like that of ours might, exist! Ancient Eastern philosophy believes that human beings are more than the physical body manifested in this material world. Other layers made of finer elements expressing higher energy exists. This paradigm of multivariate existence proposed thousands of years back by Hindu sages resonate well with modern day string "M" theory. The gross body is the one we see in this lower energy material "three-dimensional world". The other layers exist in different planes of existence. Are these entities in different dimensions? Or are they just higher energy sheaths apparently invisible to our senses, remains to be clarified. The question is, if this world that we live in can have strange secrets then why not us, the humans, that inhabit it? Is there something more about us than that we see or comprehend yet? For the last fifteen years, this is what I have been trying to uncover as a physician scientist and a person who meditates. As I delved into the deeper meditation and studied the Eastern text and correlated with modern physiology, I was surprised with a strange information. I was taken aback as I discovered the unbelievable capabilities of man that were not only unknown and verged on being esoteric. For example, we now know that by the third decade of life, we start to lose our brain cells every day. This neuronal loss leads to many dementia disorders that are rampant in the elderly population. Only meditation has been shown to stifle this decline and promote growth and increase in brain size.